Ultherapy® is a safe, noninvasive treatment for lifting and tightening facial skin, offering the benefits of a facelift without any surgery or downtime. 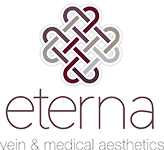 The highly skilled aesthetics team at Eterna Vein & Medical Aesthetics in Puyallup, Washington, provides Ultherapy treatments that can take years off you, restoring a youthful vitality to your appearance. Call the clinic now or book an appointment online. Ultherapy uses ultrasound energy to stimulate collagen production in the tissues under the skin. There’s no damage to surface skin, the ultrasound waves simply trigger the body’s natural healing and regenerative properties. Collagen is a protein that supports and connects body tissues, keeping them firm and supple. However, as you age, collagen production slows, and as a result, your skin can start to lose its youthful freshness. Ultherapy kickstarts the production of new collagen fibers, which over time increase in number to restore that youthful glow. As well as using ultrasound to boost collagen production, Ultherapy incorporates ultrasound imaging, enabling your practitioner to view the treatment area in detail. Being able to see the tissues in this way allows your practitioner to direct the ultrasound energy to precisely the right points to achieve the optimum results. What is Ultherapy used for? Ultherapy can improve the appearance of skin from the forehead and eyebrows down to the chest. What happens during an Ultherapy treatment session? Before starting any course of treatment, you attend a consultation with one of the aesthetic specialists at Eterna Vein & Medical Aesthetics. Your practitioner needs to review your medical history and current health to make sure you’re a good candidate for Ultherapy treatment. At your treatment session, your practitioner cleanses your skin and identifies the target areas, before applying an ultrasound gel to the treatment site. Using the Ultherapy’s ultrasound imaging, they view the underlying tissues and determine where the energy waves should go. When the treatment starts, you may experience a tingling feeling in your skin as the ultrasound energy is activated, but the process shouldn’t be painful. The length of your session depends on your individual treatment plan, but a typical session lasts 60-120 minutes for the face and neck or 75 minutes for the chest. Once your session is complete, you can return to your usual daily routine with no restrictions or downtime. Are there any side effects to Ultherapy treatment? Less commonly, patients experience temporary bruising or numbness. When will I see the results of the Ultherapy treatment? You may notice an immediate improvement in skin tone after your treatment, but the main effects take two to three months to achieve. As your body makes new collagen, it works gradually to improve your skin tone, smooth wrinkles and fine lines, and lift and tighten your skin. If you’d like to restore your skin’s youthful glow without committing to surgery, Ultherapy could be the answer. To discuss the procedure further, call Eterna Vein & Medical Aesthetics today to schedule a free consultation or book an appointment online.